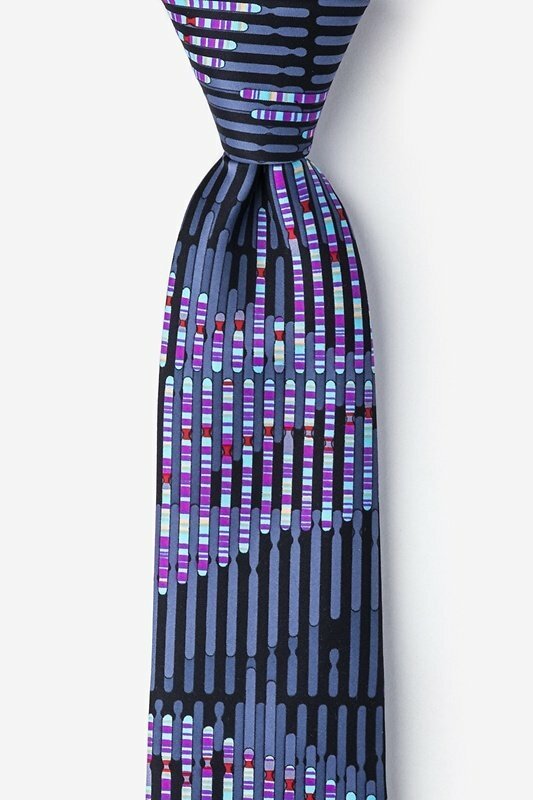 The mission of every Infectious Awareables tie is to generate interest, discussion, even excitement about serious public health issues such as this silk Human Genome tie in black. Believing that humor can be a powerful educational tool, Infectious Awareables neckties take an atypical, slightly irreverent approach to some very serious subjects. Shop and take pride in knowing that a portion of the proceeds will be donated to disease research/education. "Start the Conversation!" Presenting...the Human Genome.